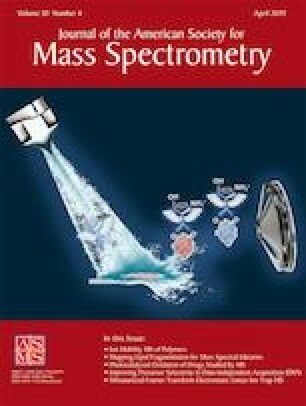 Ultraviolet matrix-assisted laser desorption/ionization mass spectrometry imaging (UV-MALDI MSI) is a widely used technique for imaging molecular distributions within biological systems. While much work exists concerning desorption in UV-MALDI MS, the effects of commonly varied parameters for imaging applications (repetition rate, use of continuous raster mode and raster speed), which determine spatial resolution and limits of detection for the technique, remain largely unknown. We use multiple surface characterization modalities to obtain quantitative measurements of material desorption and analyte ion yield in thin film model systems of two matrix compounds, arising from different UV-MALDI MSI sampling conditions. Observed changes in resulting ablation feature point to matrix-dependent spatial resolution and laser-induced matrix modification effects. Analyte ion yields of 10−9 to 10−6 are observed. Complex changes in ion yield, between spot and raster sampling and arising from varied laser repetition rate and raster speed, are observed. The online version of this article ( https://doi.org/10.1007/s13361-019-02193-8) contains supplementary material, which is available to authorized users. The authors would like to thank Steve Pringle (Waters) for assistance in determination of Synapt ion transmission efficiencies, Wenjuan Sun (NPL) for providing access and training for the CLSM, Charles Clifford (NPL) for AFM access and training, and Ken Mingard (NPL) for providing access to SEM. Funding for the work presented here was provided through the AIMS HIGHER project as part of the NPL strategic research program.